Jonny Gould's Soccermongery: Save the FA Cup! It's one of Soccermongery's most thoughtful writers, Marcus Stead. This time, Marcus eloquently states the case for the FA Cup. In a week when the Carling Cup truly shook a leg with two great semi-final matches, why can't the original Cup capture it again?? A popular subject of discussion on football phone-ins recently has been the question: Has the FA Cup lost its shine? I’m my view, it’s done a lot more than lose its shine- it’s now in real trouble, and time may be running out if it is to remain a serious and credible competition. They used to say that town centres would empty on Cup Final day. The build up on TV would start while people were still having their breakfast. Those days are long gone. However much we allow ourselves to believe Reading’s victory over Liverpool was a wonderful achievement, the fact remains there were thousands of empty seats at Anfield that night. Last Tuesday, Cardiff City played their third-round replay against arch-rivals Bristol City in a Cardiff City Stadium that was three-quarters empty. That would’ve been unthinkable if it was a league game. How many of us, if we’re honest, get slightly irritated when we discover that there’s an FA Cup weekend ahead? It’s become a frustrating disruption to the league programme for many. If you’re a supporter of a big club, you have other priorities. If you support a smaller club in one of the lower divisions, it’s likely you’d swap a cup win for three points, especially if you’re challenging for promotion or fighting relegation. I suspect ITV bought the rights because they were sold in the same package as England’s games, and I can’t help noticing that it took a very long time before anyone snapped up the rights that became available when Setanta went bust. The FA Cup isn’t dead yet, but it needs reinventing, and must become more relevant for today’s market. All sporting events need to evolve, but many don’t notice they’re in trouble until it’s almost too late. In cricket, the Twenty20 format has brought in millions of new fans all around the world, capturing the public’s imagination in a way nothing has done in the game for generations. Darts has managed to re-invent itself after a period in the doldrums in the early 90s when it was all but banished from the TV screens. It’s now the second-most watched sport on Sky, and next month will see the opening night of the PDC Premier League played in front of 16,000 people at the O2 Arena. The next few years will almost certainly see snooker brought kicking and screaming into the 21st century after years of neglect and bad management, and I’m expecting horseracing, particularly the flat, to be repackaged before too long. 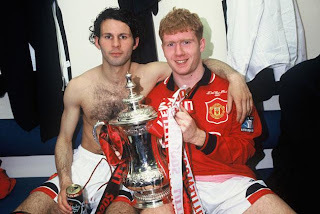 Football, too, re-invented itself in the early 90s with the advent of the Premier League. What all of these sports have in common is that they pushed themselves to the brink of oblivion before bouncing back. Cricket was gaining a reputation as being stuffy and slow. Darts was a game played by overweight, chain-smoking, beer-swilling blokes. Snooker’s glory days had ended as the household names of the 1980s faded. Horseracing has struggled in recent years with vastly reduced coverage on non-subscription TV. Before the Premier League, football went through a terrible decade in which hooliganism made many grounds no-go areas for families and young children, and at one point in the 1980s the BBC stopped regular transmissions of Match Of the Day on Saturday nights and replaced it with British basketball highlights. In all of these examples, the sports in question didn’t realise they were in trouble until it was nearly too late. The FA Cup hasn’t reached that stage just yet, but it’s becoming less and less relevant by the year. 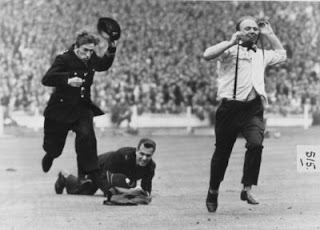 If the FA Cup is to survive as an important competition, it needs to reinvent itself, as these other events have done. There are a few ways of doing this: Firstly, introduce seeding for the third and fourth rounds. Big clubs playing the minnows is something we all love about the FA Cup, and doing this would ensure we get far more of these games. The small clubs would love it as it would greatly increase their chances of drawing a Premier League team. One credible counter-argument to this is that the TV companies would hate the possibility of not having all-Premier League ties in these rounds. But surely the Man Utd v Leeds and Liverpool v Reading matches were the highlights of this year’s third round? Besides, come round five, the chances of there being more all-Premier League clashes greatly increases, so they’d have no real cause for complaints. Secondly, and here’s where it gets really interesting, give the team that wins the FA Cup the fourth Champions League place. This would immediately stop big clubs from fielding reserve sides in the Cup. They wouldn’t dare risk missing out on Champions League qualification and the enormous implications it has for their clubs in terms of status and financial remuneration. Yes, I know this would inevitably cause the number of giant-killings to reduce further, but surely fans of smaller clubs would love to see a full strength Arsenal or Chelsea playing at their tiny ground? I’m not sure what UEFA would have to say about this and I expect a few chairmen would be up in arms about it, but these two steps would restore the FA Cup to its former glory within a year. Make no mistake: these are dark days for the FA Cup, and it needs to act now it is to salvage its reputation as a major, first-rate competition. Marcus I'm not quite sure how much mucking around you can do with the great institution that is the FA Cup. Non-League teams battling through to the 3rd round proper should be a once in a generation event not the norm if "big" teams were to enter earlier. Your idea about seeding may work. I think you've misunderstood my point slightly Jeremy. The first and second rounds would carry on as now, but the third and fourth rounds would see seeding introduced, meaning that if a non-league team made it to the third round, the chances of them facing a big team would increase hugely. Of course I wouldn't expect the non-league teams to win these matches very often, but it would certainly give them a welcome pay day, and would be great for the fans.